Was proud to have my short story “Finger Around My Neck” come out over at Numéro Cinq this month. 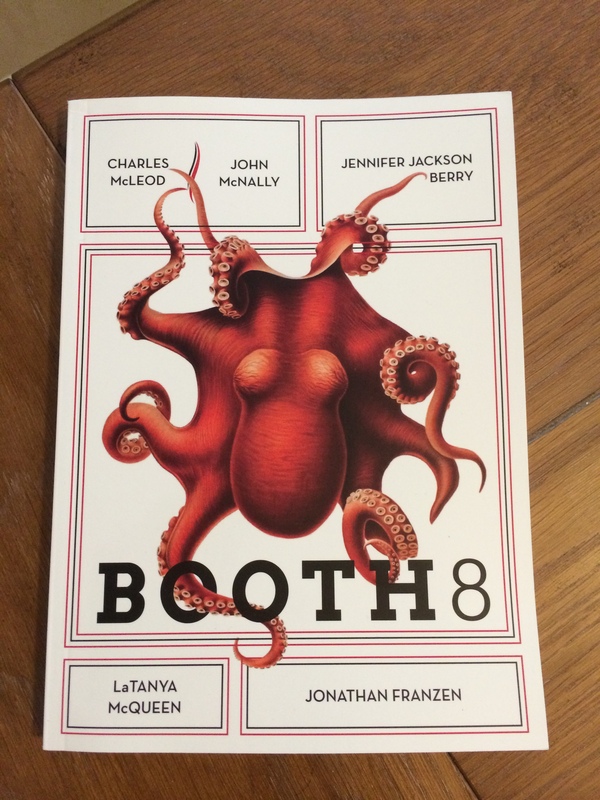 Also, Booth reprinted my story “Caulifloret” in their print annual, number 8. My review of The Expedition to the Baobab Tree by Wilma Stockenström came out over at The Austin Review blog. Additionally, my interview with Jody Bolz appeared in Numéro Cinq last month, and it also included a review of her new book Shadow Play. My piece of flash fiction, “Wish-Away,” was published in theNewerYork. My review of Joseph McElroy’s Cannonball is up over at Music & Literature. My interview with Joesph McElroy was published this month over at Numéro Cinq. Also, it looks like didn’t note that I had a review of Stig Saeterbakken’s Through the Night come out back in August. Numéro Cinq posted my review of Micheline Aharonian Marcom’s A Brief History of Yes this month. A couple of good pieces of news. I had a short piece of fiction come out last month in Thrice Fiction. Also I shepherded K. E. Semmel’s translation of of Simon Fruelund’s “Albatross” to publication over at Numéro Cinq.